Three episodes left in what has been a comparatively decent season of The Walking Dead and our smelly little friends can’t seem to get themselves off of their new metaphorical farm. It’s a mere six hundred or so miles from Atlanta to Washington, D.C., yet these yokels have barely made it to the exurbs. No matter though because SPOILER ALERT the Kenny Powers doppelgänger is not really a scientist. Nope. 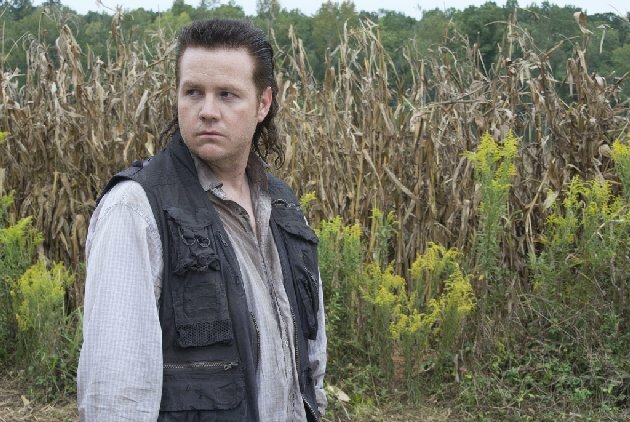 He’s just some guy who has spent a lot of time wandering the autism spectrum and figured his best shot at survival was pretending to be a man with a “very important mission.” Kudos to you, Eugene Porter. You really are business in the front. Welp. That’s only vaguely disappointing. Now are we finally done with these tangential characters? And can we get back to some Carol and Daryl? This entry was posted in Recaps, Reviews, The Walking Dead by misslinda. Bookmark the permalink.